Mitch the Monkey is the sweetest little monkey. He loves to snuggle up to sleepy children, especially if they feed him bananas for breakfast! He's a simple pattern, so he'll be nice and quick to make. Fleece, of any type, and stretch fabrics eg. velour, chenille and flannelette. 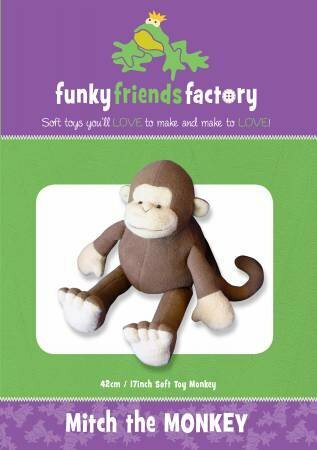 ***Although the pattern says stretch fabrics, the Monkey can be also be made from non-stretch fabrics such as cottons and corduroy.